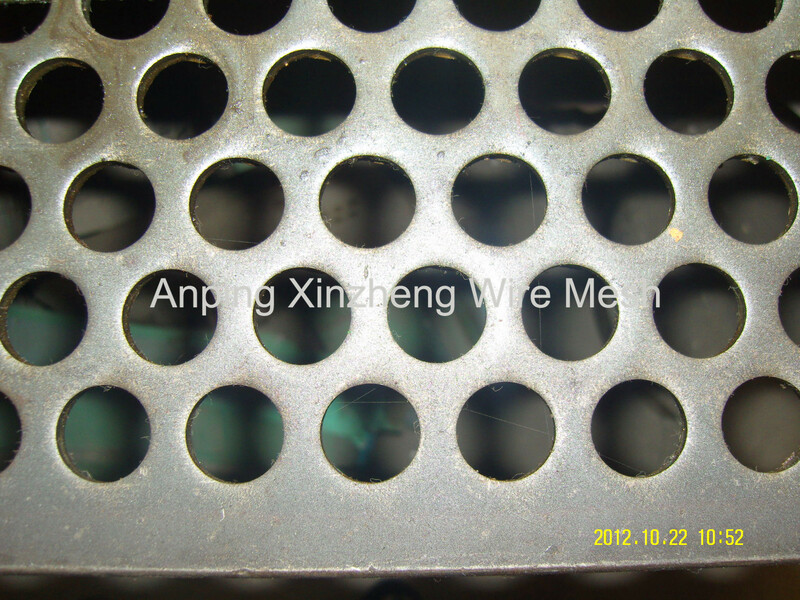 Perforated Metal Mesh, lso named mine screen mesh, mechanic screen mesh. It can be supplied in folded or flat sheets. From various metal plate or nonmetal pieces. 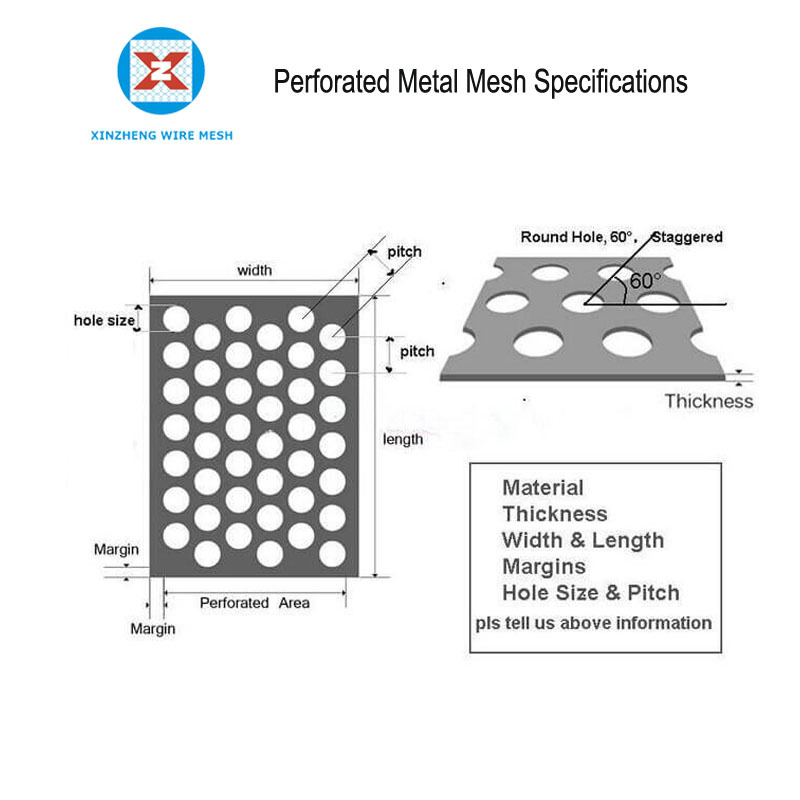 The openings of punching mesh can be triangle, diamond round, square,, hexagonal, cross, etc. The opening size, density and forms of distribution can bring different functions in separation, sifting, filtration, drying, cooling, cleaning, etc. 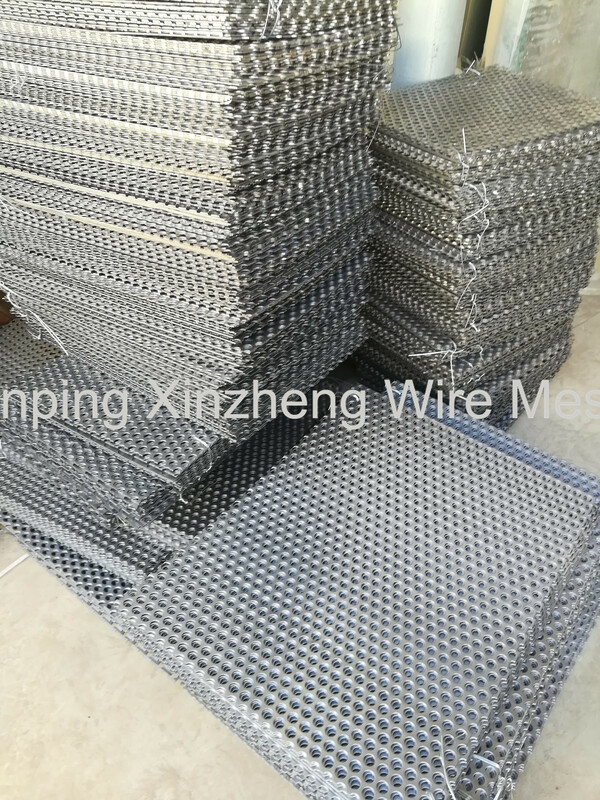 Xinzheng Company also can produce Woven Mesh Products, steel mesh, brass wire mesh, Aluminum Foil Mesh, Filter Tube, Expanded Metal Mesh, Stainless Steel Wire Mesh, Stainless Steel Crimped Wire Mesh and so on. For controlling the passage of air, liquid, light, solids, heat, electromagnetic waves and sound waves. Note :The specification only for reference, it can be done according to the requests of the customers. 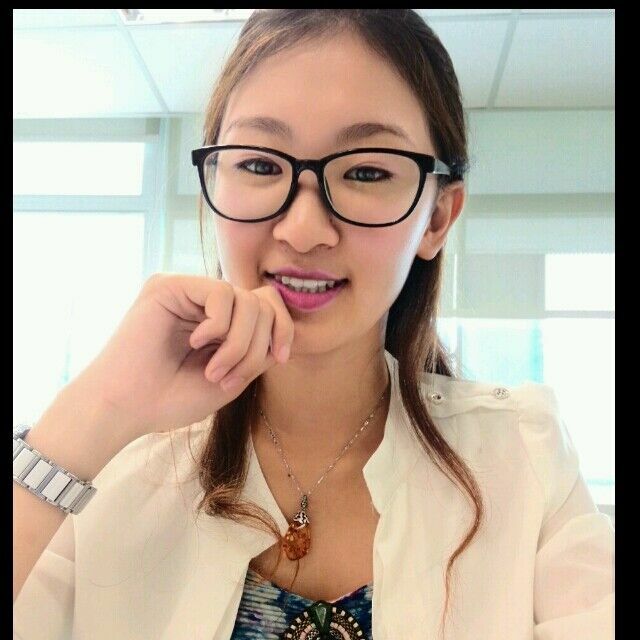 Please feel to contact us if you do not see what you need,we will help you. 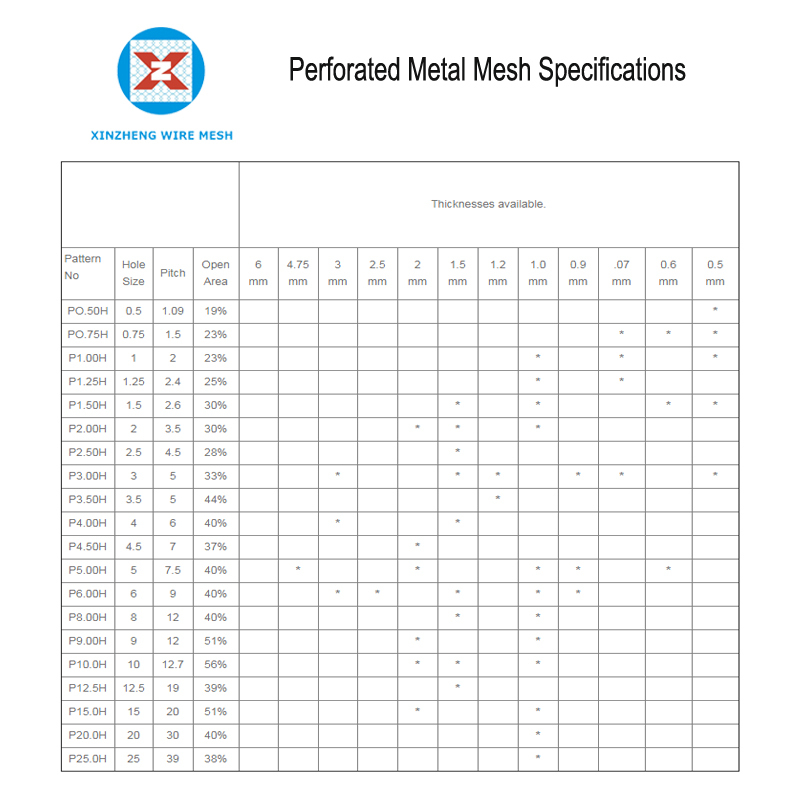 Looking for ideal Round Hole Mesh Manufacturer & supplier ? We have a wide selection at great prices to help you get creative. All the Galvanized Steel Expanded Metal are quality guaranteed. We are China Origin Factory of Metal Sheet with Round Hole. If you have any question, please feel free to contact us.